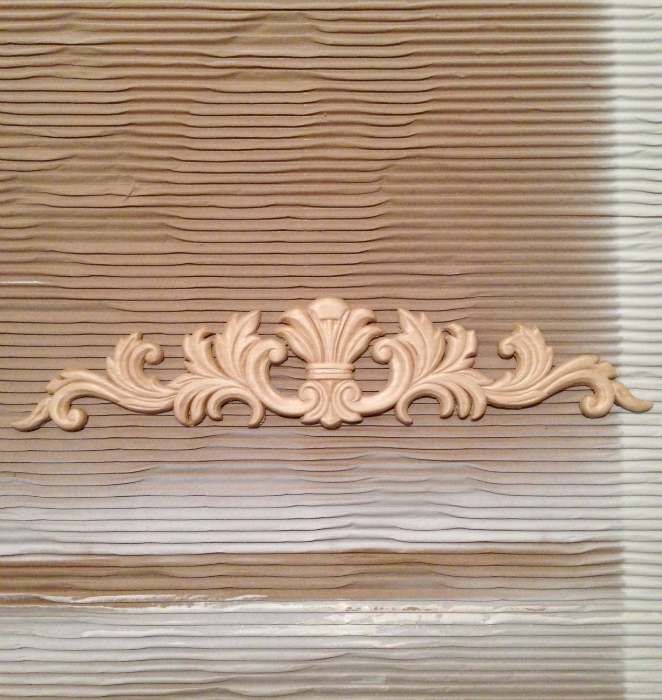 elliven studio: Workspace Update With The Help of Ornamental Mouldings! Workspace Update With The Help of Ornamental Mouldings! 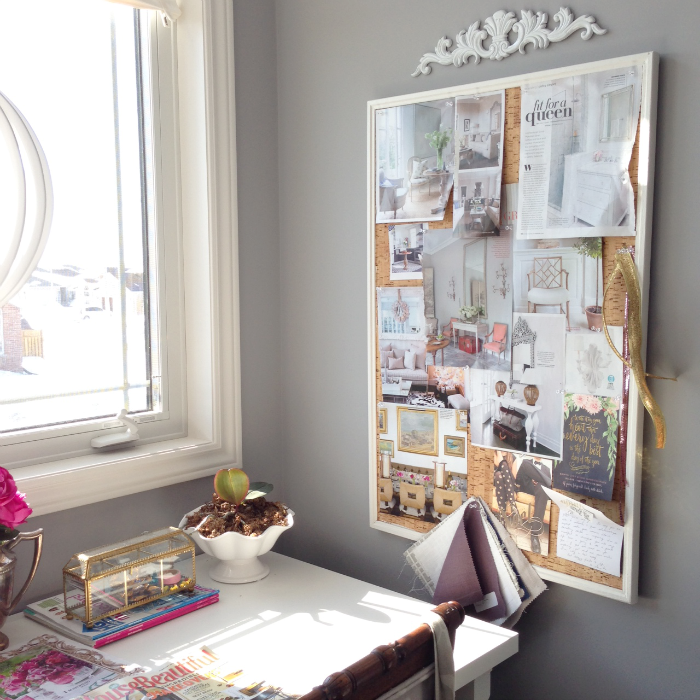 A few weeks ago I decided it was definitely time to add an inspiration board to my workspace. Conveniently enough, we already had a cork bulletin board tucked away, so I dug it out, gave the frame a coat of white paint (of course) and I got to tearing photos of inspiring spaces. Once the board was up, I realized that a little something was missing. I loved the height of the bulletin board, but I definitely needed to add a something above it. 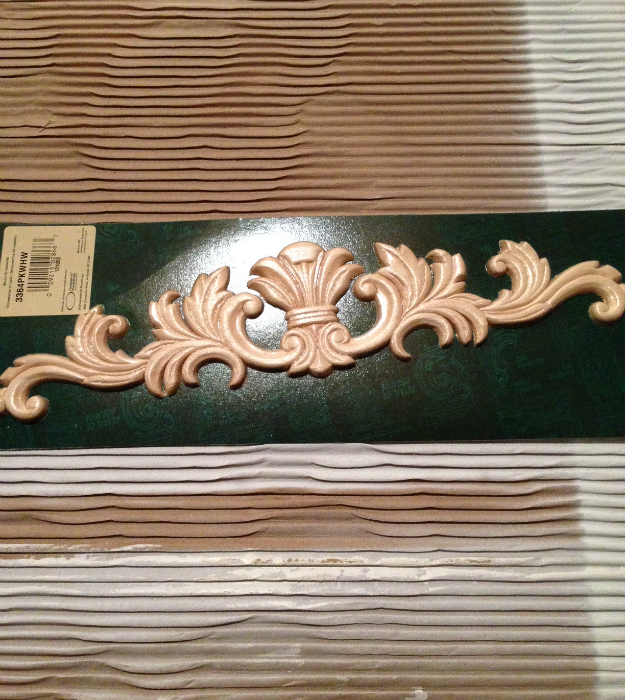 I chose to go with a gorgeous ornamental moulding which I found at Home Depot. It's made of embossed acanthus wood and had the exact look and detail I was going for. These little gems are 1- fairly inexpensive and 2- work pretty much anywhere. 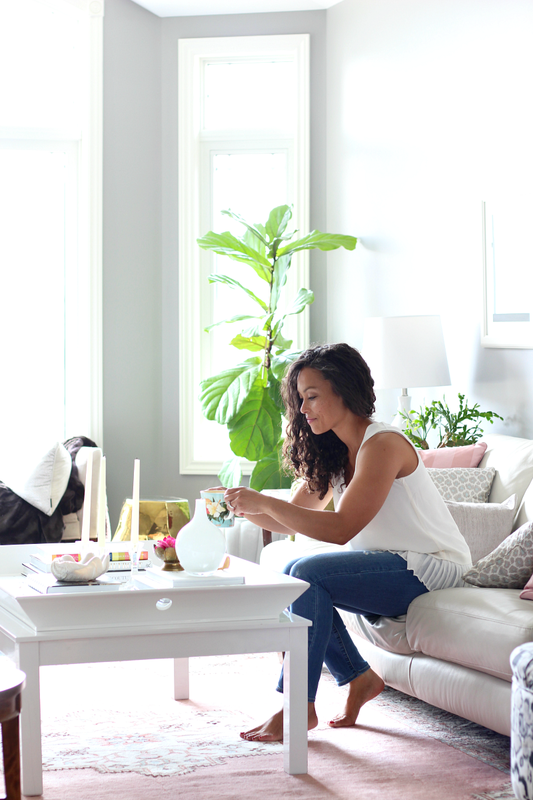 They also come in a variety of styles and sizes. I gave it a coat of white gloss spray paint (again, of course). To hang it, I used a 3M velcro command strip (honestly, I love these little buggers!). The moulding was the perfect added touch to a rather dull space above the bulletin board, a quick and easy fix with large impact. I can't even begin to tell you how wonderful it is to be able to see all of these inspirational images, letters from lovely friends, fabrics, words of wisdom and such while plugging away at the computer. It also allowed me to see a pattern that I didn't know was even there until all of the photos were up. 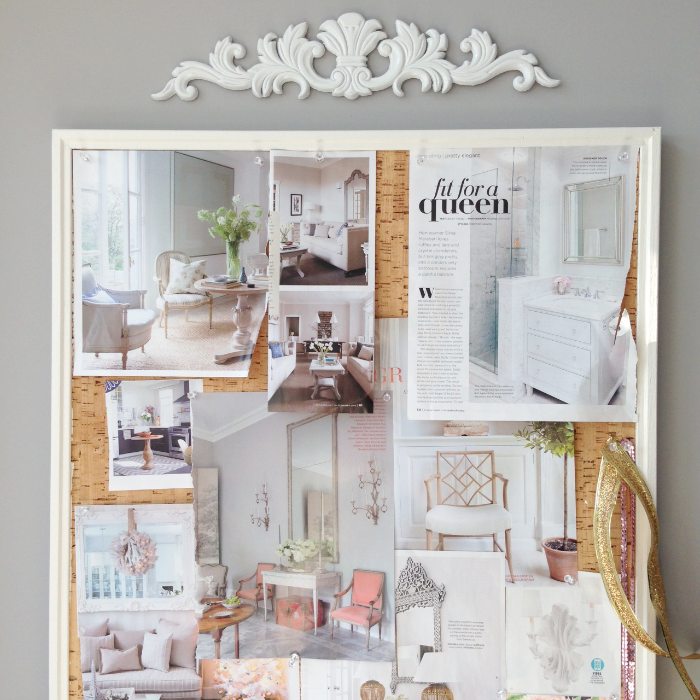 I definitely encourage everyone to create their own perfect version of an inspiration board if you can. This bulletin board used to be hubs when he lived at home with his parents, it has definitely seen better days, but a quick coat of paint brought life back to the frame and the damage cork was covered up as soon as I added some photos. You could also add some fabric to the back if you wanted to cover up the cork entirely! That looks fantastic! I love the added touch above it; it really does add to the overall effect.